Hindi film veteran and BJP MP Paresh Rawal has provoked a Twitter storm after suggesting that author Arundhati Roy should be tied to an army jeep, in a reference Kashmir's 'human shield' incident. 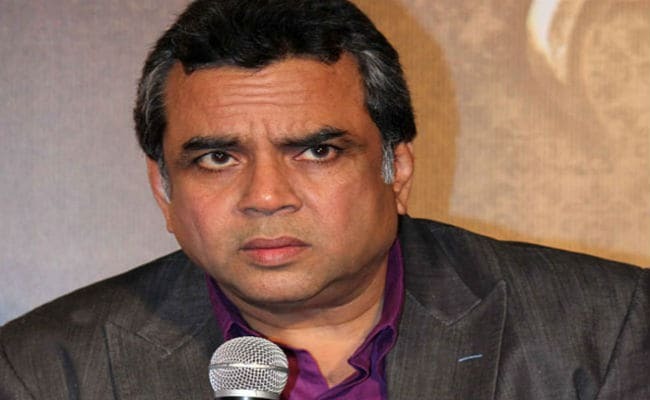 Veteran actor and BJP lawmaker Paresh Rawal has provoked a storm after commenting on social media that writer Arundhati Roy should be tied to an army jeep, a reference to the incident last month of the army in Kashmir strapping a protester to its vehicle as a "human shield" against stone-throwers. "Instead of tying stone pelter on the army jeep tie up Arundhati Roy!" tweeted Mr Rawal, a Lok Sabha parliamentarian from Gujarat, on Sunday night. In response to a comment, he also said, "We have a wide variety of choices." The comments have been retweeted nearly 7,000 times within 21 hours. The tweet has received over 12,000 likes so far. The human shield footage was among a series of videos that surfaced in Kashmir last month, showing clashes between protesters and security personnel in Kashmir. A young man was strapped to the front of an army jeep as protection from stone-throwers in the footage that was widely condemned. The army has ordered a court of inquiry. Mr Rawal's comment was criticised by many who accused him of inciting violence. Among those who reacted to the actor's posts was senior Congress leader Digvijaya Singh. @SirPareshRawal Why not the person who stitched PDP/BJP alliance ? @SirPareshRawal Am deeply moved by your empathy that brings every character to life in movies. But I'm shocked by your ability to be so violent with words! It is not yet known what spurred Mr Rawal's outrageous tweets targeting Arundhati Roy, an award-winning writer known to be outspoken about her views. Union Minister Smriti Irani, commenting on Mr Rawal's tweets, said: "Nowhere will we, in any way, support any violent message by anybody, against any individual of the country." Ms Roy's second novel, "The Ministry of Utmost Happiness", will hit bookstores next month, almost two decades after her first, "God of Small Things" - for which she won a Booker prize.